If you’re looking to go on an eco-friendly camping trip to Spain, Cala Llevado welcomes you in a natural setting with direct access to the beach and coves. 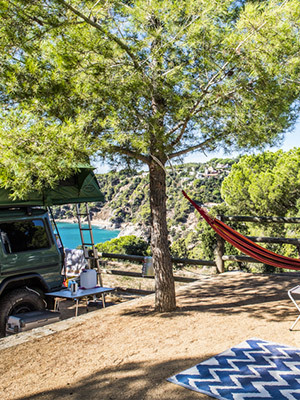 Ideally located in the South of the Costa Brava, 3 km away from the medieval fishing town of Tossa de Mar, Cala Llevado campsite was thought out especially to save you from using your vehicle during your stay. Holiday makers who camp on our pitches or stay in our accommodation rentals will find all the necessary services to spend a carefree holiday. Direct access to the Mediterranean offers our guess an endless list of activities for the whole family: relaxation, water sports and leisure activities, and all this in exceptional surroundings with extraordinary landscapes. Located by the sea in a region with countless tourist attractions, 4-star campsite Cala Llevado offers its guests revitalising holidays in a preserved natural environment. Shaded and intimate camping/caravaning pitches are ingeniously spread out over the campsite’s steep grounds. Some pitches have sea views. Cala Llevado campsite also offers wooden cottages and chalets that are built on wooden stilts — a design that fits perfectly with the campsites natural surroundings. When it comes to services and facilities, you’ll find a supermarket, a restaurant and bar with a relaxation area, a swimming pool, game rooms and playgrounds, a kids club, and a stage for evening entertainment. Cala Llevado campsite is very eco-conscious and puts effort into caring for the environment. 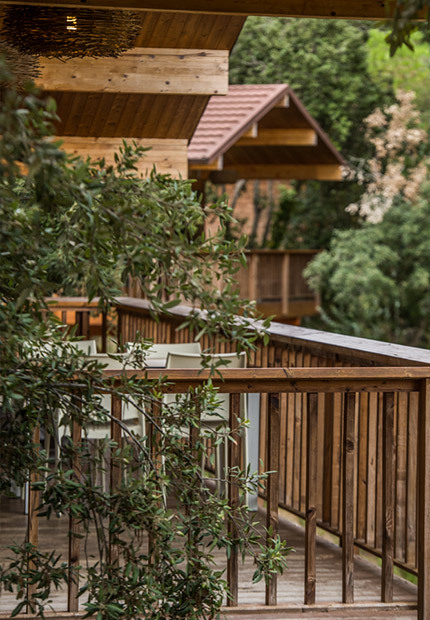 The campsite also provides guests with access to a Mediterranean botanical garden. The picturesque landscape around Baie de Llorell bay is perfect for mountain activities and water sports, including hiking, mountain biking, snorkelling, and kayaking. 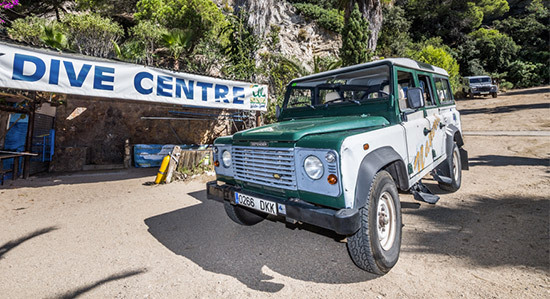 In a scenic wooded and rocky setting, overlooking the creeks, Cala Llevado campsite provides tent and caravan pitches set in relaxing surroundings. The campsite is located far away from local roads, and guests can access the nearby creeks and beach by following steep tracks and a flight of steps. In the midst of this unconventional and preserved setting, our pitches are pleasantly shaded by pine and oak trees, and some offer a sea view. 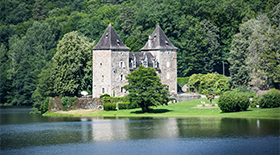 Pitches alternate with plots that accommodate rentals such as cottages and chalets. These rentals have been designed to fit in with the landscape that is so specific to the Baie de Llorell bay, and have a capacity of 2 to 6 people, with different facilities depending on models. Double bedding and electricity in sea view cottages. Shower room and WC, kitchen, TV, Wi-Fi and air-conditioning in VIP Chalets. Exclusive sun beds and toilets in cottages that look out onto the pine grove. Kitchen area, bathroom but no toilet in standard chalets. 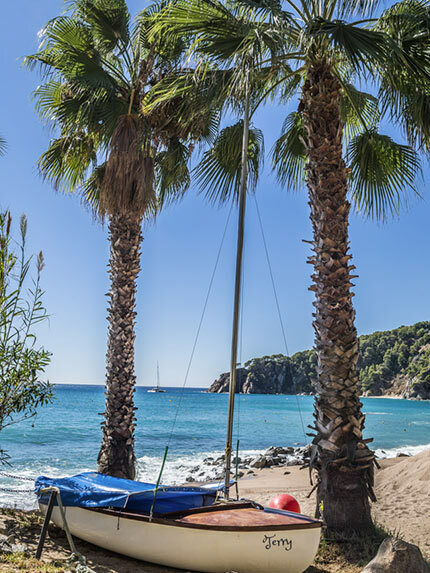 Ideal for waterfront holidays on the Costa Brava, Cala Llevado is an atypical campsite overlooking three creeks and a large bay that can be accessed by guests directly from campsite premises. Simply descend a flight of steps or take a steep backdoor path to enjoy the Mediterranean every day of your stay. Discover a wide range of activities by the sea: a small pebble beach that’s ideal for kayaking, another beach with a bar, a large sandy beach, and a rocky cove (for nudism enthusiasts). Campsite grounds also offer a swimming pool for guests to cool off in fresh water. 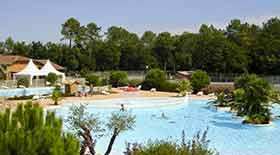 It is supervised and comprises a big pool, a paddling pool and a pool beach with a row of sun loungers. It offers a stunning panorama over the Mediterranean. The Spanish Costa Brava is one of the treasures of the Catalonian coast and attracts visitors for its heavenly creeks, charming villages, and nature parks. 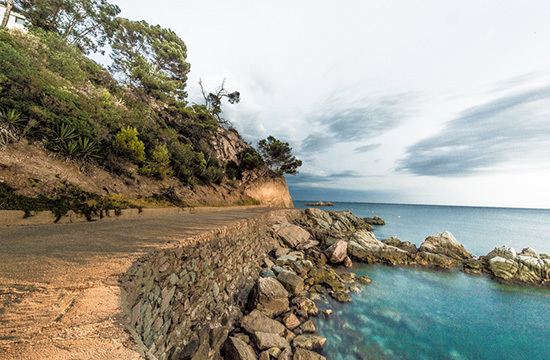 Following on from the French Vermeille coast, the Costa Brava can be accessed easily via Barcelona or Girona. A real paradise for relaxing, getting involved in outdoor sports and water activities, the Costa Brava also boasts cultural and architectural treasures, including the towns of Girona and Figueres, but also gorgeous scenic towns such as Pals, Tossa de Mar and its medieval town centre, Cadaqués (famous for its link to the painter Dali), Roses, Calella de Palafrugell, Blanes, l’Escala, Empuriabrava (also called ‘The Spanish Venice’). or even Lloret de Mar. You’ll also find vast urban beaches and preserved pebble coves and creeks with crystal-clear water. 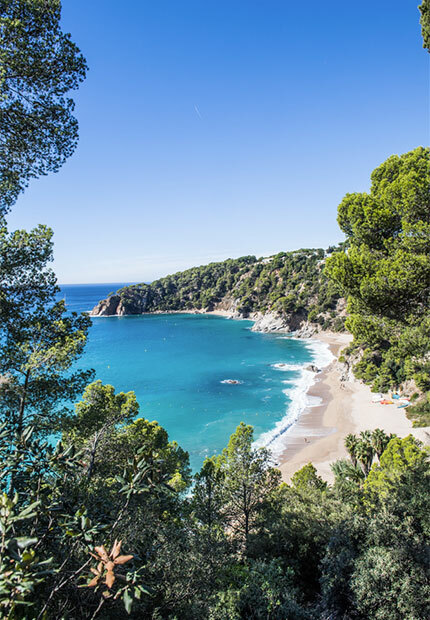 The Costa Brava coastline is ideal for diving and snorkeling but it also offers a wide range of other water activities such as sea kayaking, water-skiing, sailing, windsurfing, kite-surfing, and stand-up paddle. A special shuttle is at the disposal of CALA LLEVADO holidaymakers, to go to the various coves and beaches of the estate. The campsite is located in the heart of a pine forest that descends to the sea. This magnificent site has only one flaw! You have to take a sloping path to the beaches! The journey can become difficult in the heat of summer… This 4×4 has 9 seats, and a spacious trunk to store water sports equipment and beach bags. Totally free for all the residents of the campsite, it makes your life easier and makes any activity in Cala Llevado accessible and free of constraints. Let’s stay connected and receive all our current news and promotions! Let go of it and go on holiday!